Ford has completed its new Mondeo offering with the addition of new engine options, bringing the total number of engine and transmission combinations to 14. The 1.0-litre EcoBoost with 125PS is now available as the entry-level powerplant, plus there is a 1.5-litre 120PS diesel and a 2.0-litre twin-turbo 210PS diesel. Additionally buyers can now specify the 150PS and 180PS 2.0-litre TDCi diesel engines with all-wheel drive. The full-range is now in production in Valencia, Spain. 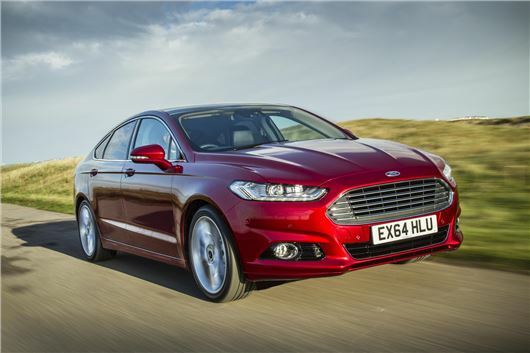 Ford says the additions make the current Mondeo range the broadest ever offered in Europe. How can 1 litre engine push a car along the size of the Mondeo? A 998 cc engine powered a little car of my fathers Morris Minor years ago, and not too well either!